After watching the “Tropes vs. Women in Video Games” series by Anita Sarkeesian I found myself thinking about games with female leads and how they are few and far between. So the point of this series is to highlight games with female protagonists. This is important because people like playing games where they are represented. (Might be why most of the time I picked Princess Toadstool in Super Mario Brothers 2.) However, for this series I am not focusing on games where you’re able to choose the character’s gender: sorry FemShep – only standalone female leads. Getting more girls into gaming now means that in 10 to 15 years they’ll likely be the ones making video games. In turn, I will get better games in my twilight years when I am having conversations with door knobs and embarrassing my family. I hope you try some of these games, and give your hard earned money to developers who took the risk in being different. That said, my first recommendation is a game you cannot buy new anymore, and I suggest you play it via emulator instead of on a proper Nintendo – I’ll discuss why later. The reason this game is genesis in my mind is because I think it was the first game I played that had an overt female lead where you knew she was a female lead…instead of playing the whole game to find out IF you get the good ending, or knew one Mr. Justin Bailey as in Metroid. The story for Guardian Legend is pretty interesting. The planet Naju was invaded by evil lifeforms and sent hurdling towards a hapless Earth. That’s right, we are getting “Chewbacca-ed.” You play as Miria, a sentient robot sent to Naju in order to save Earth. Mario and Link might save a princess and a land or two, but Miria saves our entire world. To do this, she has to transform into a badass spaceship and fly deep into the planet to obtain keys by beating the evil aliens who destroyed life on Naju. Once you have all the keys, you can set off the Naju’s self destruction sequence and save Earth. Though I personally like to think that the surviving native Naju-inians caught a ride with Miria off the planet and were saved as well. The game is broken into two different sections: half the game takes place on the planet’s surface in overhead Zelda fashion, while the second half involves flying around as a space ship deep into the planet. Both segments are really polished with tight controls and have surprisingly great graphics for the hardware it was designed and played on. During gameplay, you find power ups and weapons to help you keep up with the ramping difficulty. The game does a good job of pacing in this regard. This is one of two games ever where I actively hated the password system. They are 32 characters long and use uppercase, lowercase with umlauts, ?’ and ‘!’ and numbers. To make things worse, the font the game uses makes it easy confuse letters. To put that into perspective, in Computerland we use a 64bit number (2^63rd power) to count how many milliseconds there have been since 12am January 1, 1970. Seriously, that is how we tell what time it is. We will run out of numbers three centenaries AFTER THE SUN GOES SUPER NOVA AND LIFE ON EARTH IS NO MORE. This game needs a potential of 32^64th power amount of passwords. This is why Guardian Legend is one of a few games I will say is better emulated rather than on original hardware; simply because you can use save states. I rail on things, but this is a very minor issue now. Play this game. Seriously…play this game; I don’t want to be Chewbacca-ed. It is a wonderfully overlooked game whose main problem is fixed via emulation, or being able to use a camera to take a photo of the damn password. With smooth gameplay and a compelling story, it is worth a look; I’m so glad I was able to play it. Until next time, may a planet not collide with you. 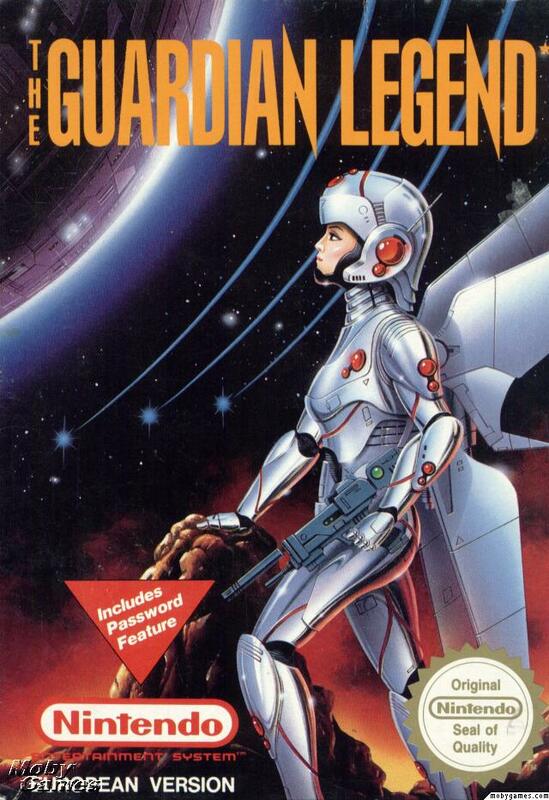 Have you played Guardian Legend? Let us know what you think about it in the comments! Disclosure: I have no material connection to the game reviewed and did not receive a review copy. Summer Style at LARP: Stay Cool, Look Great!